I gave myself a few days before our first team arrived to re-acquaint myself with the subtleties of climbing here, learning to weight your foot perfectly, make sure your centre of balance is exact, then applying just the right amount of energy to achieve the move. It’s a style that teaches you loads about how you move, highlighting any weakness you have. We met our first team of 11 climbers on Friday morning, a great mix of some who have climbed outdoors regularly to those who have never climbed on rock. None of them had been to Font before. Our first morning was spent at Roche aux Sabots familiarising everyone with the footwork needed to climb successfully here, polished smears and small but sharp edges where the name of the game. The afternoon spent on a mantleing workshop a skill that has to be mastered here to be able to top out the many slopey top-outs and requires skills not often practiced indoors. Coaching really comes into it’s own in a place like this, helping climbers get in the right positions to do the moves, teaching how to read the route and identify key hand holds and foot holds. Over the next two days we visited further areas of the forest with Canche Aux Merciers then the last day at L’Elephant. 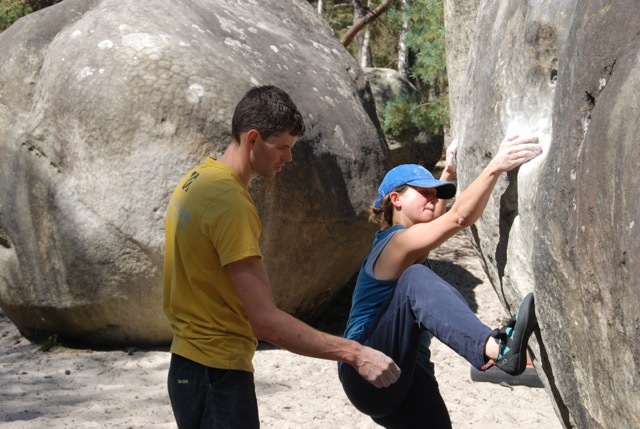 Although the emphasis was always on getting the team up some of the best boulders in Font we managed to apply some great coaching workshops, cover everything needed to climb in Font. With every boulder throwing up a different set of problems it was a perfect canvas for teaching new skills and techniques. But Font isn’t all about the climbing, it’s about being in the forest, the stillness, the beauty, the fun of being in an incredible place like this. Whether it’s playing Frisbee in the sand, slacklining or just sitting back on your boulder mat for 10minutes relaxing in the sun and watching the world go by. 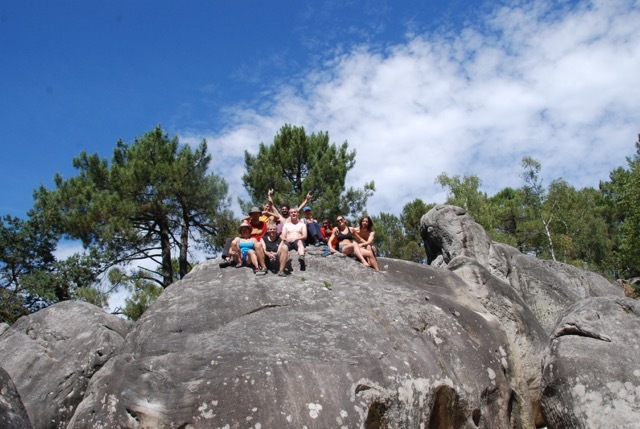 By Sunday evening we had 11 very tired climbers, but also 11 climbers enthused to get back out to Font at the next opportunity and continue exploring this amazing place! 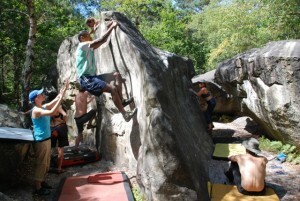 It was great to finish our first Fontainebleau Bouldering Workshop on such a high with great ascents from everyone! 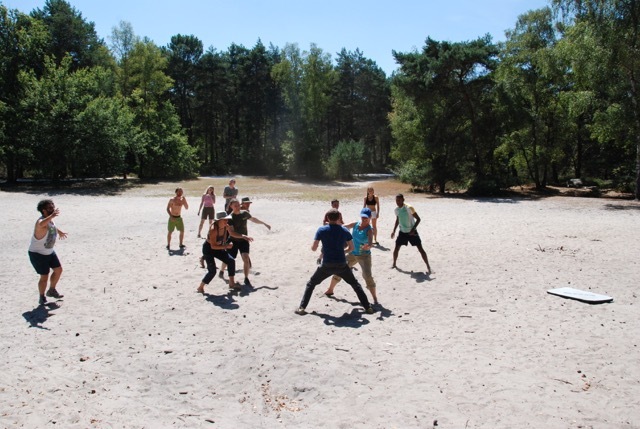 Thanks to Just Kampers, Monkey Fist and Care for Health for your support. 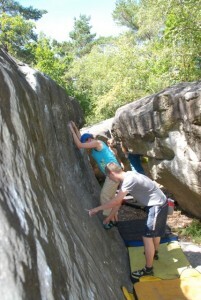 For more information or to book onto our next workshop please visit our Rock Climbing Coaching Page.